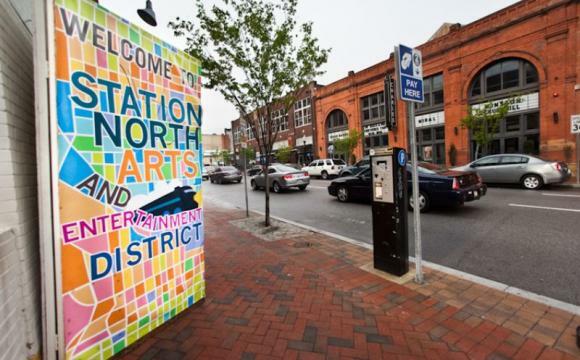 Conveniently located in the heart of the city, Charles Village, Remington, Waverly, and Station North are just a few of the pocket neighborhoods that you'll find in this area. 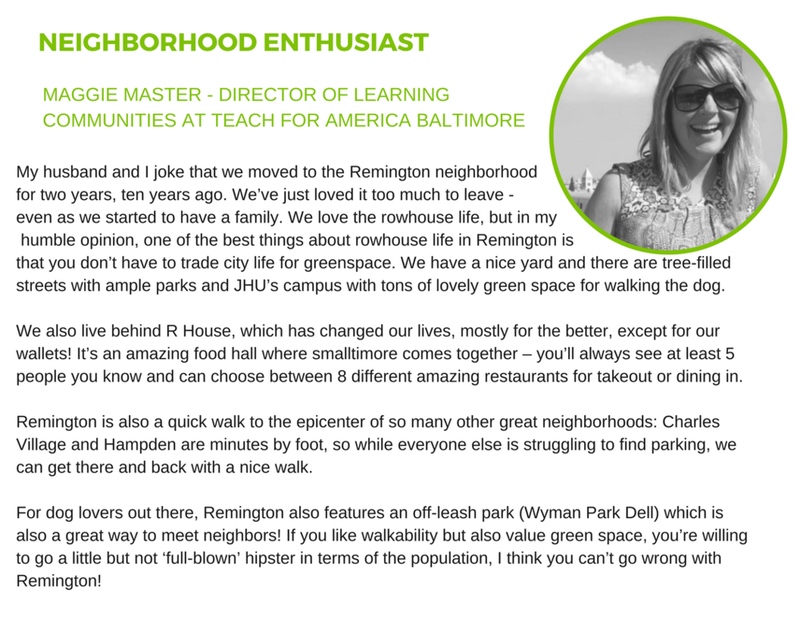 These neighborhoods surround the Johns Hopkins Homewood campus, and you'll find a delightful mix of families and long time Baltimore residents, as well as students and young professionals living here. With great access to public transit, you can call Charles Village home, but be anywhere else in the city in minutes. Given the diverse interests of the neighborhood, you can always find something to do and, even better, something delicious to eat. In the mood for a milkshake at a diner? Head to Paper Moon. Pizza more your thing? You've got Joe Sqaured. Can't make up your mind? You've got R. House, which hosts eleven different types of cuisines and delicious cocktails. In the mood to prepare your own meal? The Waverly Farmers Market gives you access to local farms and Zeke's Coffee year round. Relax in Wyman Park Dell with a book or frisbee or head over to the Movement Lab for a yoga or hip hop class. Art and music are in ample supply in Charles Village. You might find yourself spending a rainy afternoon at the Baltimore Museum of Art (BMA) - it's free - or catching a movie at the Charles Theater. The Single Carrot Theater hosts one of Baltimore's local acting troupes or visit the Metro Gallery or The Ottobar for live music, stand up comedy, or trivia. You'll also be able to enjoy the Maryland Film Festival each Spring. There's always something to do in Charles Village. Living here, you're just steps away from anything you could possibly want in the city and you'll always come home to a parking spot at night. From live music to outdoor fire pits to film screenings, there's never a dull moment in the heart of Charm City. If you're a person with eclectic interests, this is the neighborhood you should call home.